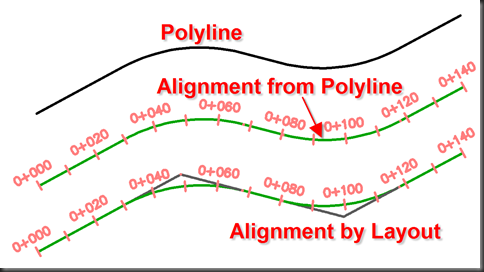 Here we have a typical polyline that has been converted to an alignment. And an alignment created using the layout method. The alignment created by layout has line extensions (the grey lines going to the Point of Intersections (PI’s), but the other does not. Simply put, the alignment created from the polyline has no PI”s. 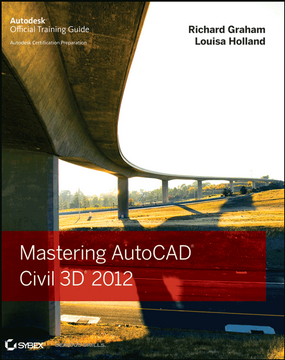 Civil 3D creates three types of alignment sub-objects; Lines, Curves, and Spirals, and it’s important to know how these are defined. When you create an alignment by layout, using the tangent-tangent-with curves tool, the Lines are defined at the blue dimensions. The lines have been defined all the way to the PI. An alignment from a polyline has Lines defined like this. Lines have not been defined to the PI. Those lines must be defined to the PI, period! Copy your polyline on top of itself. Decurve the copied polyline (Fillet command, Radius = 0, Polyline option). You’ll have two polylines; one original (Black) and one with no curves (Green). Create an alignment from polyline and select the one you just decurved. Make sure you specify that curves are added. If all of your radii on the original polyline are the same, you might as well input that number, otherwise don’t worry about it too much. Set your running OSNAP to “nea” and use the pass-through grip to adjust all of the new alignment curves (Green) to match the original (Black). You now have an alignment whose geometry is identical to the defining polyline AND that has PI’s and normal PI-type grip behaviour. What if I have already defined the alignment and want to change it after? Offset the alignment to one side and then back again so you have a polyline on top of your alignment. 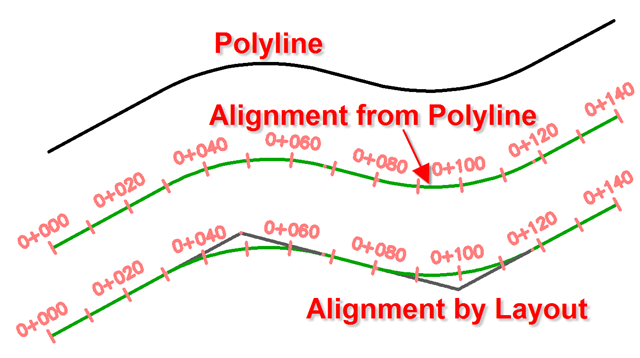 Decurve that polyline using the Fillet command as mentioned above. Grip-edit the alignment line end points and move them to the PI points. How would I duplicate a polyline alignment that has no straight segments, just curves from beginning to end. Or, how would I even create one in C3D? It seems that it needs to have straight segements at least at one end. To create an alignment containing only curves could be done with consecutive floating curves, among other techniques. Easy, depending on the design criteria. hm. Thanks, Matt. I have to do that every now and then and always end up just “making it from the poly and be[ing] done with it”, like you say. Unfortunately, it leaves me with little control for modification when needed. thanks again. I’ll look in to floating curves a little more. Good one Dave, really thinking out of the box. I just wouldn’t bother doing any conversion. Just make the alignment from that polyline and be done with it. 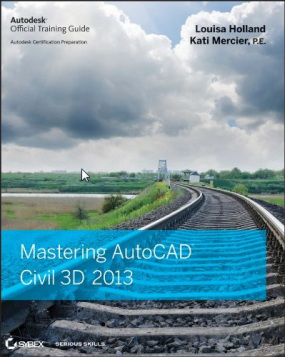 Explaining how to do this with the Civil 3D tools is beyond the scope of this reply. Maybe I’ll write about it. Until then you may be able to find out how in the c3d discussion group.